Found Object Fridays: We artists love our collections don't we? Even as a child I remember foraging through flea markets and looking for special trinkets that caught my eye. Going for walks, to this day I find myself scanning the ground looking for interesting bits of metal or unique rocks to add to my collections. Long before I knew what I would be doing with them, I collected objects that pulled on something inside of me. As an artist I was thrilled to find there are others who love and collect little oddities and curiosities too. Over the course of ten Fridays I am honored to introduce ten different guest artists who will share some of the objects they love. You may recognize some of these names, while others may be new to you, each one is somebody whose style I admire. Check out the photos of their found object-and in a virtual show and tell, read about how it caught their attention and what they plan to do with it. Then check out their bios and links to learn more about each artist. . . I first connected with Seth Apter in my early blogging days when I was in the assemblage period of my career- my found object heydays. 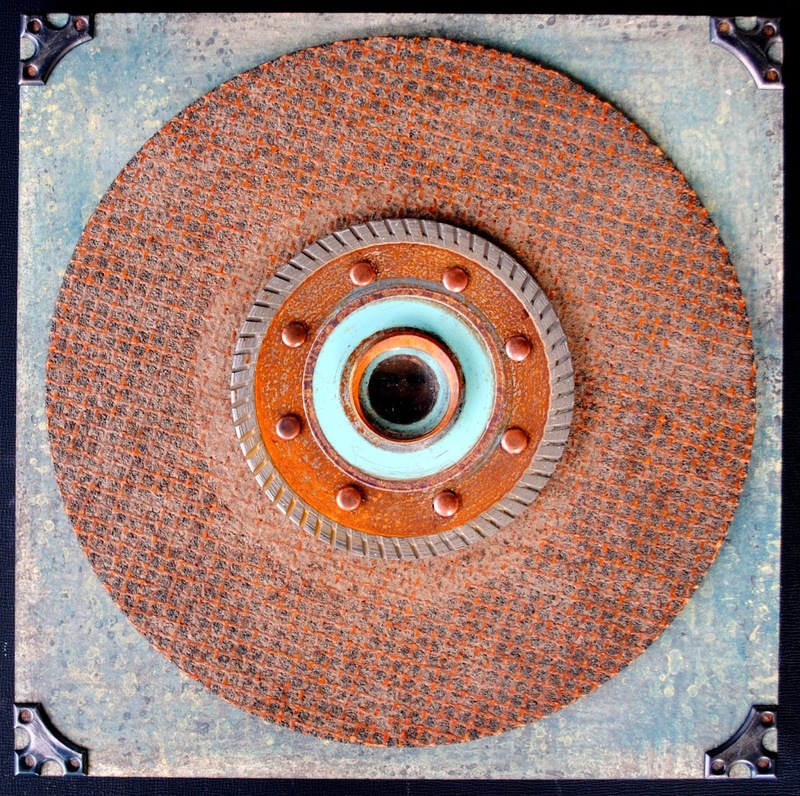 Seth has a flare for using found objects so seamlessly in his work that it looks worthy of any fine art gallery. But he isn't just a talented artist, he is the author of one of the most popular mixed media blogs on the internet called The Altered Page, where he has a knack for fostering creativity in others. Seth is also the author of two books, teaches in retreats and venues across the nation, and sells his work online and at art fairs, and has been shown in multiple exhibits. You can always tell the tourists in New York City as they are the people looking up, trying to see the sites of the city. Most locals are simply looking at their smart phones. I, on the other hand, am always looking down -- just waiting to spot some treasure on the ground that I can use in my artwork. Whenever I pass by a construction site and see the familiar blue or green scaffolding, my heart beats a bit faster as there are often discarded objects just waiting to be picked up. As much as I enjoy altering the patina of a found object, my best finds are those that have already been weathered by time and use. And such was definitely the case with this rotary blade I found on the streets of New York. 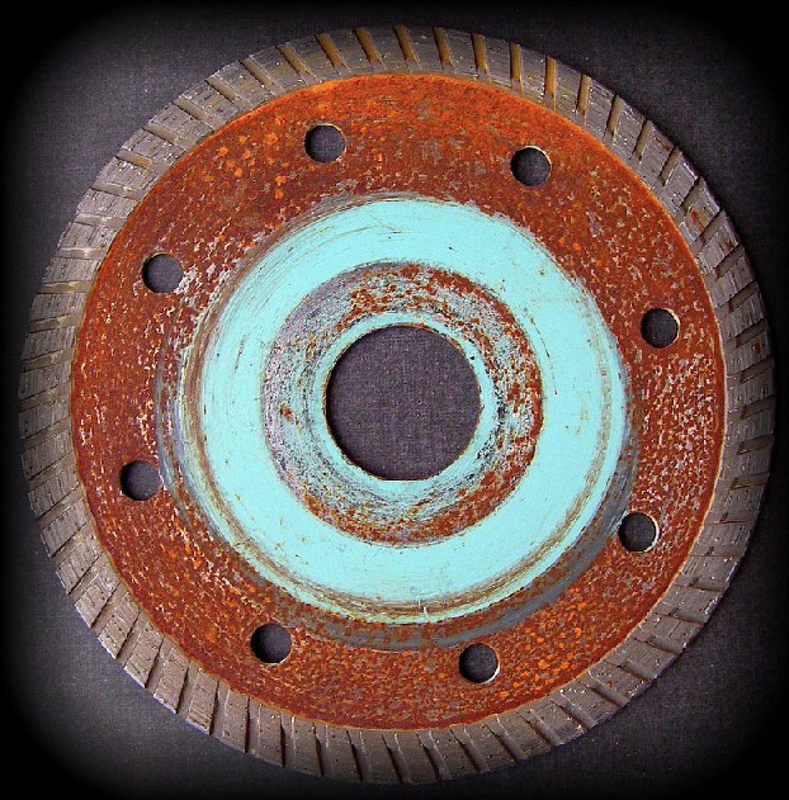 This beauty was found as is, with a surface already covered with rust and patina. As is often the case for my finds, I held on to it for several years until I was inspired to use it in an artwork. This particular object ended up as the central focus for my artwork Rotary Club. Seth Apter is a mixed media artist from New York City. You can see and purchase his work on his website sethapter.com and learn more about him at his blog thealteredpage.blogspot.com. Ha! We'd be like a bunch of crows competing for the best shiny things! Seth, you have a talent for incorporating found objects into art. Love those two words..rust and patina. He makes it look easy doesn't he? And beautiful! I don't know what it is about these series but I just started a new one about the life of an artist on Sundays! lol! Seth it was truly a pleasure to host you here. I've received a lot of feedback that yours was a favorite post - so sorry those things weren't left as comments here for you to read, but you are so appreciated! Love the find, the story, the finished piece! Shiny objects, trust, patina, all good! I'm so glad you are enjoying them. I have thoroughly loved and been inspired the unique offerings each one of my guests has brought. Thanks for commenting! Seth has such a creative brain! Thank you for these posts, Crystal! Yes he does and he certainly knows how to bring that creativity out of others too! Thanks for stopping by today Deryn!